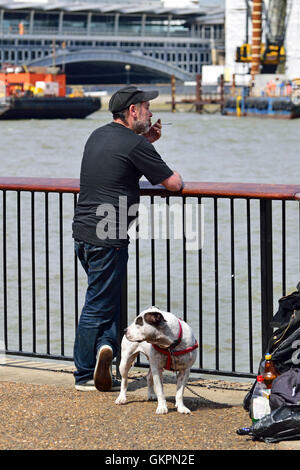 A man with his bull terrier. 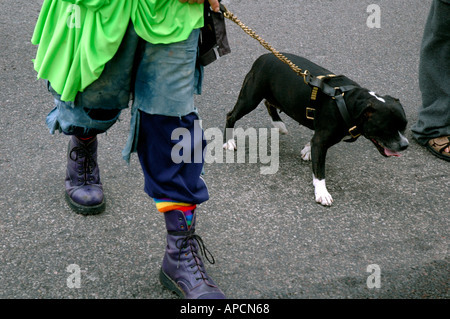 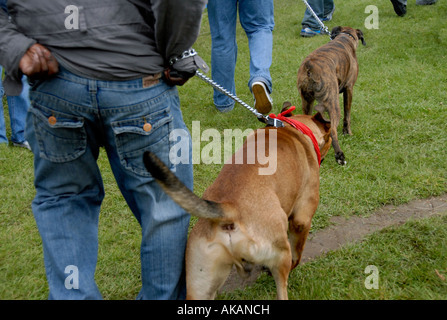 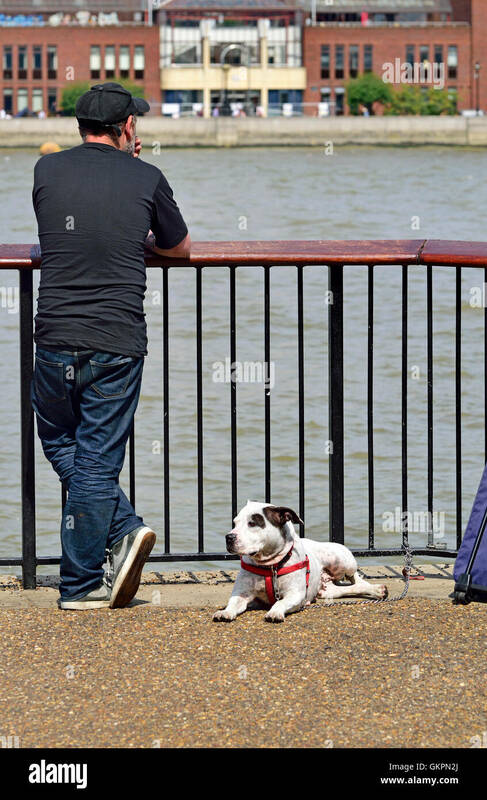 Staffordshire Bull Terriers are stocky, muscular dogs often referred to as 'keg on legs'. 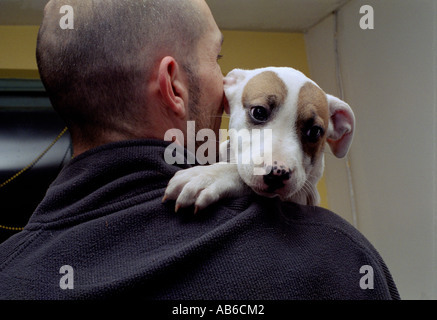 Man holding his Staffordshire terrier puppy over his shoulder. 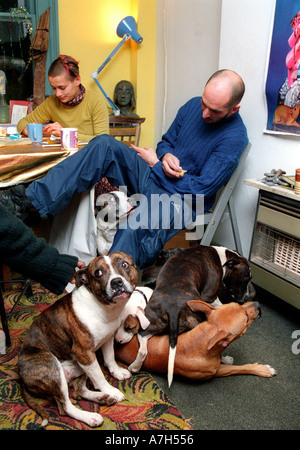 Portrait of man with family of Staffordshire terriers living in a south London squat. 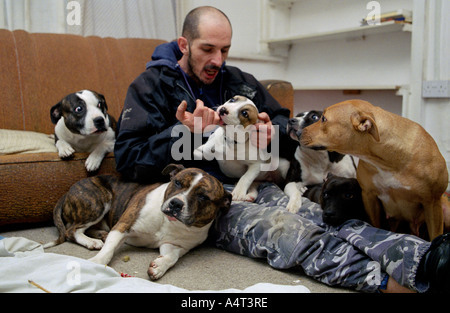 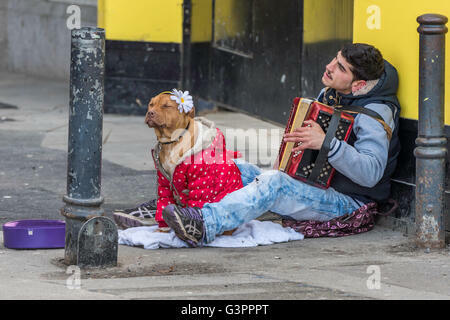 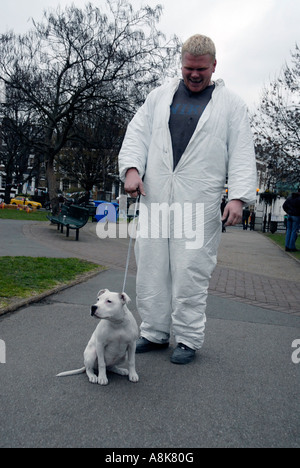 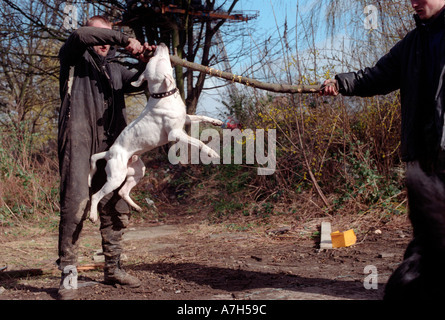 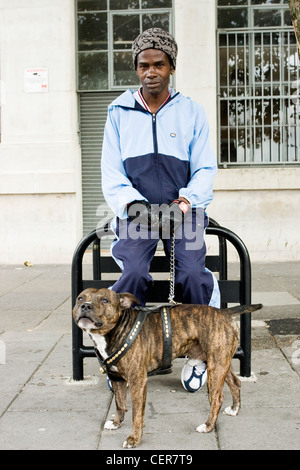 Man playing with Staffordshire terrier.